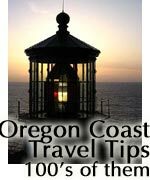 (Lincoln City, Oregon) – A good seven miles of pristine sands and a variety of attractions make Lincoln City a powerhouse vacation destination for the central Oregon coast. 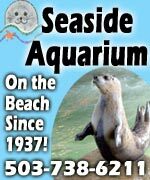 A major casino, a couple of historic theaters, museums, huge discount shopping opportunities coupled with a variety of antiquing and locally owned gift shops of all shapes and colors draw in the vacationers for things to do, but the beaches are the serious highlight. 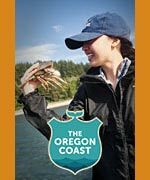 There's a vibrant foodie scene in Lincoln City as well, highlighted by an attraction that offers cooking classes to all kinds of vacationers and visitors. 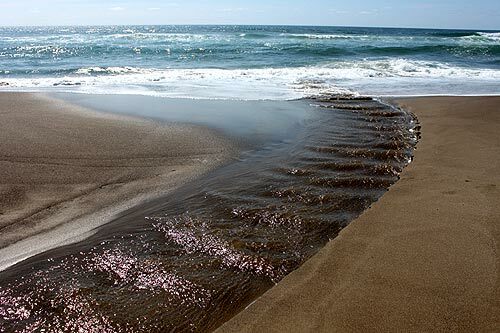 Southern Lincoln City: Depending on how you think of it, Gleneden Beach is really where Lincoln City starts. 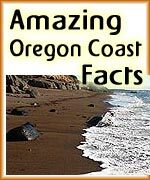 This is a somewhat hidden part of the central Oregon coast that starts all the way back about five miles from Lincoln City's southern tip. 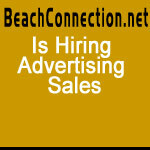 More on Gleneden Beach. 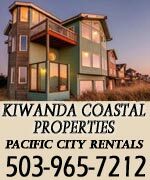 After Gleneden's curious beaches, drive north, through some stunning marshland (formerly known as Cutler City), and you'll encounter Taft and the Siletz Bay. This is where seals can be seen in great abundance on the spit at the other side of the bay. Taft hosts dozens of interesting little eateries and shops, including the glass blowing facility that allows you to blow your own glass float. 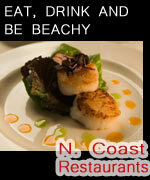 Up the hill and you'll encounter the beaches and businesses of the Nelscott district. 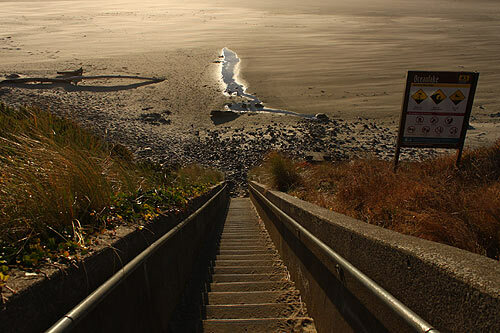 Some of the more out-of-the-way beach accesses will find you away from crowds more often (see the Lincoln City Virtual Tour, Map for those). Mid Town Lincoln City. The soft sand beaches continue but the accesses disappear beneath high soaring cliffs as you approach and the Oceanlake and Delake districts. 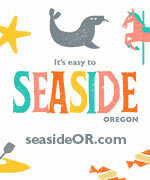 They reappear again near the D River access, one of Lincoln City's most popular beaches. The big outlet store is by the D River as well. 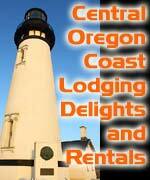 Major oceanfront hotels stand along these cliffs and throughout Lincoln City as well. 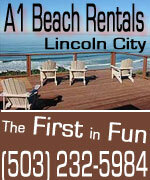 See the Lincoln City Virtual Tour, Map for more details. A mile eastward, Devil's Lake is a major recreation attraction for boating, fishing and so much more. 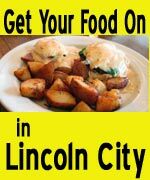 Northern Lincoln City. 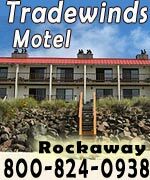 Just past midtown you encounter many more oceanfront hotels, motels, shops and fine eateries, and this is where the beach accesses remain low and easy to enter. 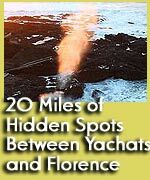 Several slightly hidden beach accesses lurk here - see the Lincoln City Virtual Tour for more details. Eventually, Lincoln City stops at the Road's End neighborhood, where a major state park and the mammoth cliff structures sit. Some fascinating secrets sit in this area. 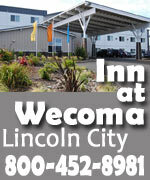 More at the Lincoln City Virtual Tour, Map. 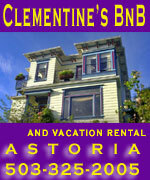 This district is known as Wecoma Beach. 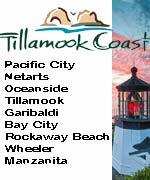 All these districts were separate little towns until 1964, when they voted to become Lincoln City. 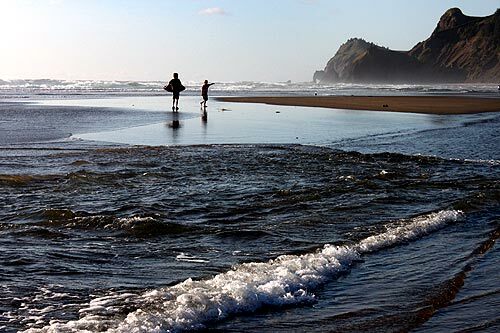 Head north of town (sometimes called the Corridor of Mystery) and you'll find the stunning vistas of Cascade Head, and then then the tiny village of Neskowin and its enormous array of hidden beaches, curious sands and fascinating geologic features. 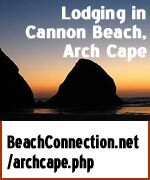 A complete list of beach accesses for Lincoln City is available here. 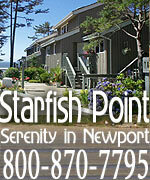 Lincoln City, Oregon lodging and vacation rentals are found here, while a list of Lincoln City restaurants and dining options are here. 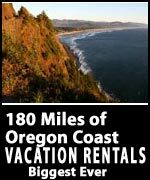 Siletz Bay is awesome for wildlife viewing or building bonfires or big log structures. Nelscott beaches feature some interesting large grains of sand and curiously sloped tidelines. From here through to Midtown are long stretches between beach accesses, which can grant you considerable solitude and a buffer from the crowds. 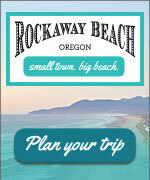 Midtown is the hotspot for nightlife activity in Lincoln City, and the beaches are varied in layout and activities. Agate hunting can be good in spots, depending on conditions. The high cliffs are good for a scenic drive if the weather doesn't cooperate. 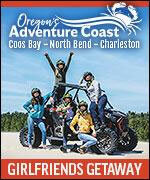 Don't miss the Oregon Coast Culinary Arts Center and its foodie heaven, or events at the Lincoln City Cultural Center. 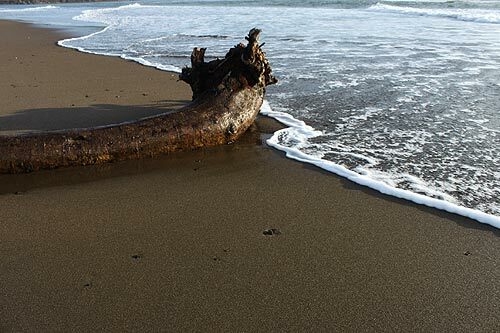 In the Wecoma and Road's End area are the secretive beaches and some slightly unusual features for exploration. 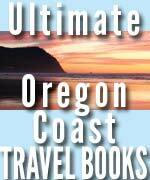 Cascade Head hiking is strenuous and lengthy but legendary and unbeatable in its scenery. 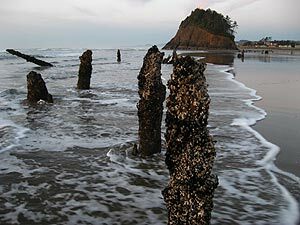 Do not miss the ghost forest of Neskowin – leftovers of a forest that was knocked down by a sudden geologic event. They are around 2,000 years old. 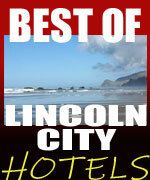 More at the Lincoln City Virtual Tour, Map or keep scrolling.